The report also noted that the numbers show improvement over prior years. 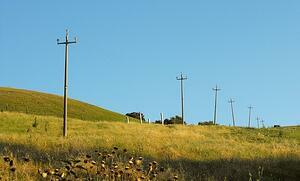 However, 39 percent of the rural population (23.4k Americans) currently lack access to basic fixed broadband service. In comparison, only 4 percent of the urban population face the same lack of access. Many challenges contribute to the slow pace of broadband deployment. There is no single solution. Building on our earlier blog post, “What’s the Hold-Up? The Future of Broadband Deployment,” we are taking a deeper look at the problems holding back broadband deployment. Let’s look at three strategies providers and governments can use to deliver access to faster and more reliable internet service to all Americans. Most providers rely on external contractors to install fiber in the field. Unfortunately, there are a limited number of skilled contractors certified to deploy broadband fiber. With an influx of funding from the Connect America Fund, many large companies are working to install fiber to rural and underserved areas. These providers are all vying for a pool of skilled labor to perform the installation work. The demand surge will likely lead to a future boom in trained fiber installers, but it may require several years for new contractors gain the necessary skills and certifications. To address this need, providers and governments should consider providing incentives to grow this specific labor pool more quickly. Before fiber can be installed on poles or in the ground, the job must be engineered. Similar to the shortage of skilled contractors, there are also limited engineering services for these jobs. Often, engineers end up managing data administration, such as manual data entry from managing assets, rather than focusing on engineering-specific work. Excessive time is spent inputting data or pulling data from back-end, third-party systems, and this struggle is magnified by scattered or inaccurate data. The solution is to free engineers of data maintenance work by outsourcing this administrative task to a managed services firm (like Alden), whether the provider works with their own internal engineers or uses an external engineering consultant. This enables engineers to focus entirely on their most valued skill and be more productive, moving fiber construction projects more quickly through the queue. Inefficient processes combined with poor communications between joint use partners are plaguing the industry and significantly contributing to the slow pace of broadband deployment. Poor communications and contentious relationships between asset owners and attachers often result in long, slow approvals, as well as safety and aesthetic problems (such as illegal attachments, double/buddy poles, and excess loading). The FCC is looking to address these longstanding problems with proposed changes to the pole attachment timelines. Providers may still have time to avoid these tighter regulations by proactively improving the process. A shared, centralized asset database such as Alden One® offers a single, secure location for storing and sharing joint use data between asset owners, attaching companies, contractors and other relevant parties (like regulators). This technology streamlines partner communication and establishes transparency throughout the process – all of which can increase efficiency and accelerate time-to-market.